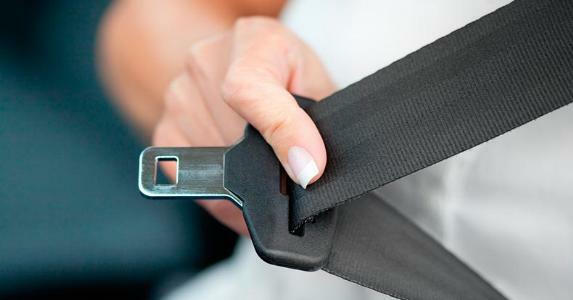 SEAT BELT SAFETY: Safety belt safety is of fundamental importance to every person around the world. Organizational pattern: This will use Monroe’s motivated sequence. General purpose: To show people the importance of having a seat belt on at all times when riding in a car no matter the distance to be covered. Specific purpose: To influence people positively in the use of safety belts on our roads. Introduction: Just last week there was a story carried on one of the television stations that showed some automobile accidents that had occurred over the last six months. One of the main features that was highlighted was the case of one lady who had suffered spinal injuries and was now paralyzed from the neck down. She was talking about the importance of having a seat belt on at all times and was regretting the fact that she had not listened to her sixth sense that was telling her to fasten her seatbelt before pulling her car out onto the drive way. She was so remorseful and regretted her actions that day which eventually led to her disability, something that she could have avoided if she had her seat belt on. Relevance: Seat belt safety affects all of us because we all ride in auto mobiles and we cannot predict when we will be victims of a road accident. According to the Motor Vehicle Association, 3 million Americans are injured in auto accidents annually. (statistic – Orme 27) and another 50,000 people are killed each year through road carnage. (statistic – Orme 29). vRoad safety and the use of seat belts is our responsibility since we all are at risk while on the road. Thesis: This paper will be a simple way of showing just how important it is for us all to start practicing seat belt safety for our own safety. Need step A. People should be made aware of the importance of seat belt safety since its effects on people keep increasing. B. The total number of people killed on our roads is the equivalent to a 747 jumbo jet crashing every other day for a year thus making our roads the most lethal means of transport. (Analogy – Orme 29) 2. Automobile accidents are thus the leading cause of death for people of high-school and college age, (Factual example – Consumers’ 10)C. Seat belt safety affects all the people since we all use the roads and most of us have cars or are in a position to ride in an automobile every day either while going to school, to work or to do other errands. We are all directly affected when it comes to seat belt safety since we all are in a position to be victims to road carnage or are in a position to have a loved one in that position and if they are involved in a road accident then we will be in charge of them during their recovery stages. You can save yourself from becoming part of these statistics by wearing your seatbelt. A. According to the Department of Transportation, 15,000 lives would be saved annually if every driver fastened his or her seatbelt every time he or she rode in a car. (statistic – Lumet 45) B. A study by the Motor Vehicle Association showed that the chances of individual death and injury are reduced 50 percent by the use of seatbelts. (statistic – Dinkel 46). Satisfaction. A. The only solution to end this problem is for all of us to ensure that we fasten our seat belts at all times. Since we are all aware that automobile accidents are the leading cause of death for people of all ages (factual example – Consumers’ 10) we can save ourselves and the people we love from becoming part of these statistics by wearing your seatbelt. B. We all have to first and foremost ensure that we have good quality seat belts installed in our vehicles and then make sure we put them on when in our cars. When riding in public vehicles we should also ensure that our seat belts are on too, this also applies to when we ride in taxi cabs. C. As much as we all want to have safety on our roads by regulating speed limits and keeping our cars in good service conditions, the bottom line is that our main safety is the use of seat belts (Analogy-Rune, 6).. Even when we observe speed limits, keep to our lanes and keep our cars in good condition, it is not obvious that we would not be involved in car accidents. Since we cannot predict the time we might be involved in an accident, then we should make sure that we have our seat belts on at all times. Visualization step: A. If involved in an accident we can be sure that if one has their seat belt on then the effects of the accident can be reduced and the injuries can be minimal. B. The degree of injuries increases many times over when one does not have their seat belt on and in the worst case scenarios death is an eventuality. Conclusion: A seat belt costs nothing, it comes already installed in a car and all one has to do is pull it out and safely lock it in place, this takes less than a minute to do but it can mean the fine line between life and death in case of an accident.